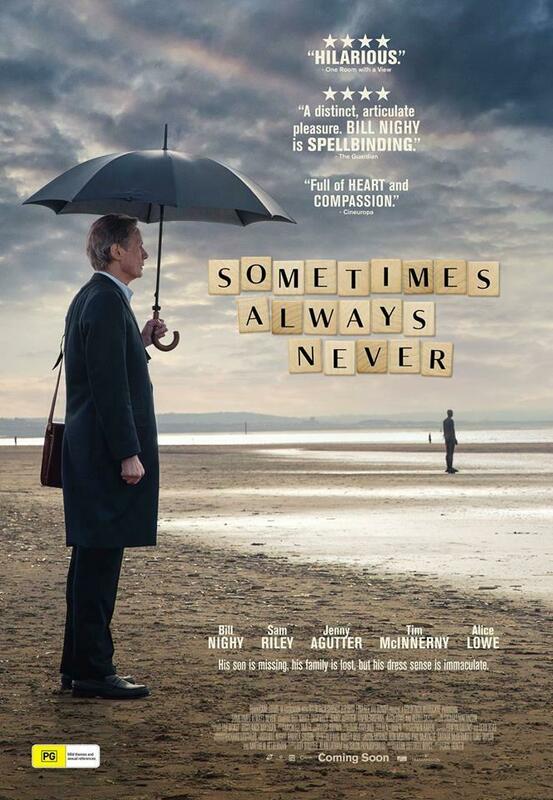 Sometimes, Always, Never is a witty scrabble inspired story that reworks the parable of the prodigal son. We are introduced to Alan (Bill Nighy) a well dressed but lonely man who is desperately seeking news of his missing son Michael. His other son Peter (Sam Riley) is preoccupied with his own struggles with making ends meet with his wife and only son. Alan and Peter are thrown together as the search for Michael intensifies. Bill Nighy embodies the secretive and devious aspects of a grieving father, ably supported by a cast of well-drawn misfits. The viewer gradually builds up a picture of the prodigal son, the wanderer and reckless son who left suddenly (during a game of scrabble) and has been missing for sometime. The father and remaining son are consumed with doubts and fears. It is clear the father would forgive anything just to have his wayward son home. The film explores the themes of grief, doubt and forgiveness in a scrabble inspired story with quirky retro graphics. The production design has a surrealist focus with little intrusive music to detract from the character studies that unfold. There are overtones or homage to the cinematic style of Wes Anderson. This modern telling of the prodigal son does not offer any easy answers, the flawed people portrayed making the best of what they have. A must-see film for any scrabble enthusiast and lover of words. Sometimes, Always, Never contains a quiet humour of a lost and lonely family who are learning to come together. Now showing in all good cinemas. 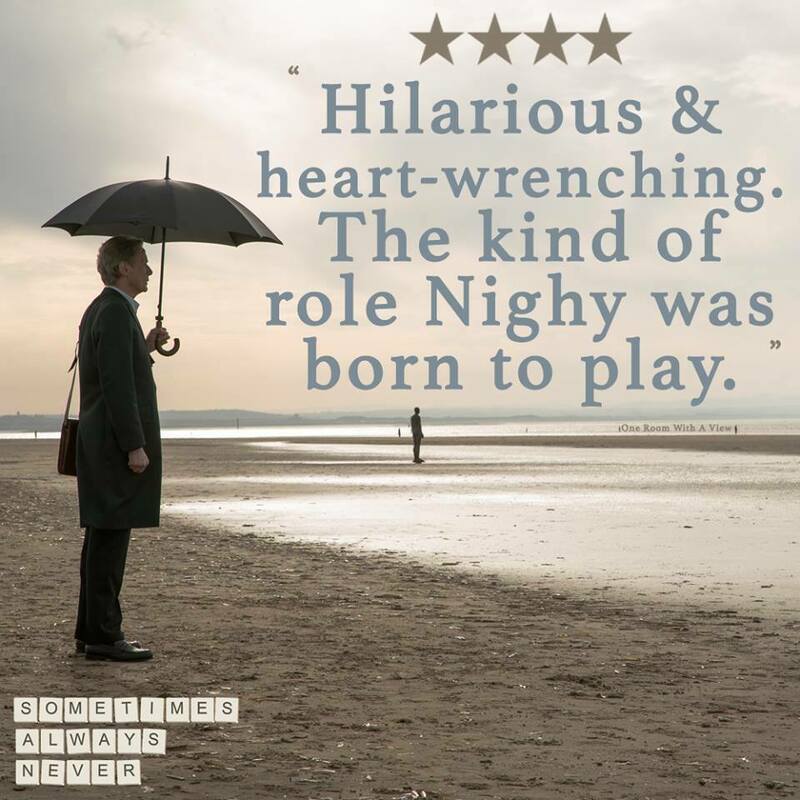 Jenny, I love Bill Nighy, films and scrabble so am looking forward to this movie.